Upstart electric car company Faraday Future hopes to have its first vehicles rolling off the assembly line in 2018, a company executive said Wednesday, as officials marked the start of construction on a planned $1 billion (roughly Rs. 6,659 crores) Las Vegas-area production plant. “Our aim is to complete a program that would normally take four years and do it in half the time, while still doing it right,” Dag Reckhorn, Faraday Future global manufacturing vice president, said in a statement released as Nevada Gov. 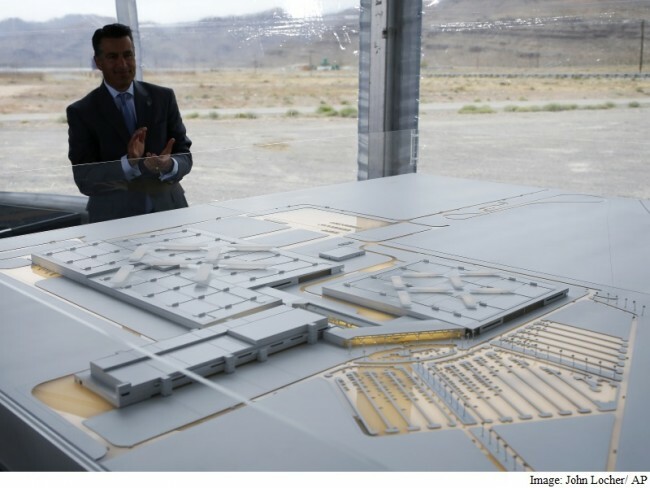 Brian Sandoval, company and local officials gathered at the North Las Vegas site. Nevada has pledged up to up to $335 million (roughly Rs. 2,230 crores) worth of incentives toward the project, which Gardena, California-based Faraday promises will employ some 4,500 people over the next decade. The company, backed by Chinese entrepreneur Jia Yueting, currently has about 700 employees in the US. It unveiled a concept car in January, but hasn’t put a vehicle on the market. Nevada lawmakers held a special session in December, just weeks after Sandoval unveiled and endorsed the project, to promise $215 million (roughly Rs. 1,431 crores) in tax breaks and $120 million (roughly Rs. 799 crores) in infrastructure improvements. Faraday Future last month pledged to post a $75 million (roughly Rs. 499 crores) bond toward the development of roads, rail and water lines to serve the 900-acre site at the Apex Industrial Park about 25 miles north of downtown Las Vegas off Interstate 15. Nevada State Treasurer Dan Schwartz has raised questions about funding, and has promised not to let Nevada taxpayers get stuck with the bill. Faraday Future puts the size of the facility at 3 million square feet, or nearly the size of the sprawling Las Vegas Convention Center close to the Las Vegas Strip. The company promises an automated “highly connected and environmentally friendly” plant that will emphasize energy efficiency and modern design.